Notebook containing 100 sheets of paper towels. Matify while leaving a skin without shine. Can be used on makeup without leaving traces. 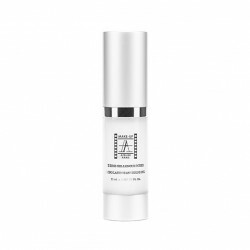 The T-Zone Gel absorbs sebum and suppresses the shine of the skin. It is recommended as a makeup base on the entire face for oily skin. Used in retouching above make-up, it has the advantage of matting in a very natural way without a powdery effect. Ideal visual result for High Definition. Dry Skin Moisturizing Base for dry and sensitive skin. Nourishing formula based on shea butter and plant extracts with restorative properties, moisturizing anti-desiccant and anti-inflammatory cream. The moisturizing cream reconstitutes the hydrolipidic film and plays a protective role for sensitive skin. Antishine Moisturizing Base that combine a plant complex treating for oily skin, young and with acne with a hollow microparticle powder that absorbs sebum. Iridescent Moisturizing Base that provides excellent makeup stability. The mica powders introduced into the base reflect the light for a radiant and pearly complexion. 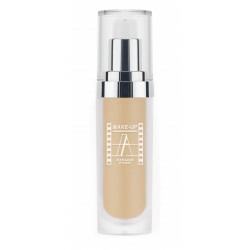 Moisturizing and luminous emulsion recommended as make-up base on the entire face for mature and dehydrated skin. Emollient oils and mica powder reflect light and fade wrinkles. Nutrients, moisturizers and antioxidant vitamins A and E make this emulsion perfect for a radiant complexion.